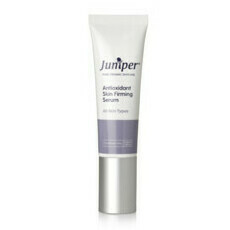 The Nourishing Cream Cleanser by Juniper Skincare is an ideal choice for those with normal to dry skin. Made to effectively remove impurities whilst leaving the skin feeling deeply hydrated, it is crafted from organic properties such as Vitamin A, C, E, Omega-3 and 6 Essential Fatty Oils. 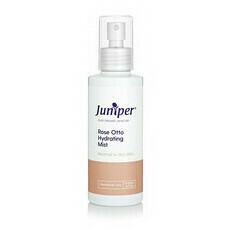 This is also a wonderful option for those with skin easily aggravated by sun, wind and other environmental elements. Made with a combination of beautiful organic ingredients including Aloe Vera, Jojoba Oil, Rosehip and Apricot Oils this cleanser hydrates and gently stimulates the skin. Aloe Vera, Calendula, Jojoba Oil, Pomegranate, Rosehip Oil, Vitamin E.
Massage 2-3 pumps of Nourishing Cream Cleanser into neck working up to face. Remove with warm water, use morning and night. Very creamy and nourishing. My winter go to.